Mark graduated from Hastings College in Hastings, Nebraska with a Bachelor of Music degree and from the University of Nebraska-Lincoln with a Master of Music degree, both in organ performance. Mark is our Tonal Director, which makes him responsible for the tonal design and finishing of Bedient’s pipe organs. He also oversees the service and tuning of more than 125 pipe organs across Nebraska and neighboring states. These include instruments at the University of Nebraska, Nebraska Wesleyan University, Concordia University, churches, and synagogues. He is also an active musician, serving as Director of Music Ministries at First Christian Church, and as Organist of Congregation B’nai Jeshurun in Lincoln, Nebraska. 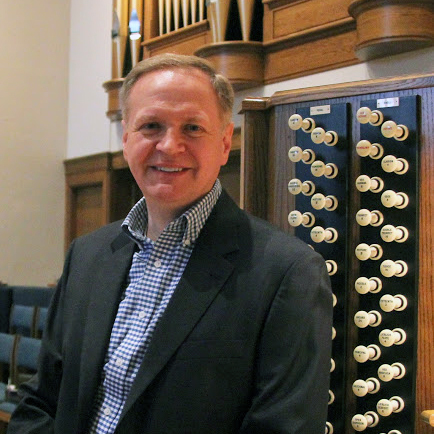 Mark is a longtime member of the Lincoln Chapter of the American Guild of Organists. He has served on its executive board in various capacities, including his current position as Sub-Dean.